In 1952, Dwight D. Eisenhower was the Republican Party’s candidate for President of the United States. His Vice-Presidential running-mate was Richard Nixon (who was, at the time, a Senator from California). 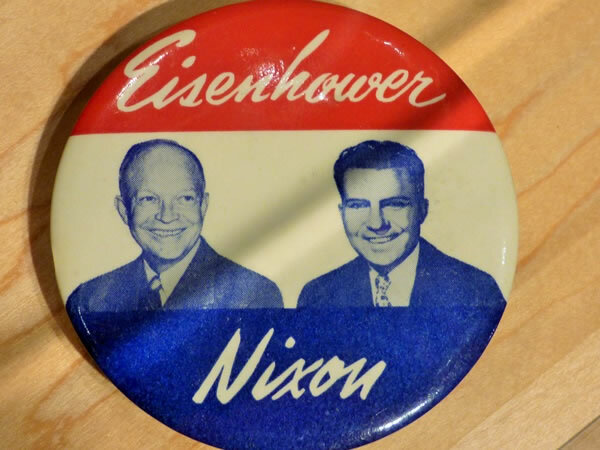 They won the 4 November 1952 election easily (with 442 Electoral College votes compared with the Democrats’ 89), and Eisenhower and Nixon served as President and Vice-President respectively from January 1953 until January 1961.